The Spring 2019 Independent Practitioner is now available. 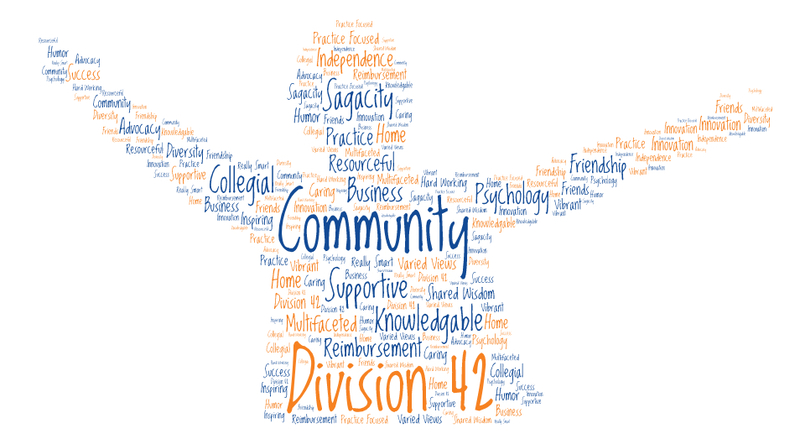 We want to encourage you to consider applying for Fellow status in Division 42. Fellow status is a special distinction for those who show evidence of unusual and outstanding contributions with national impact in the field of psychology and independent practice in particular. Find forms, practice pointers and more from Div42 members. Do you have experience, research or ideas to share with other mental health clinicians? Practice Innovations is actively soliciting manuscripts relevant to practitioner needs and interests. Manuscripts may include traditional research, but we will also welcome reviews, innovative service models, and other alternative presentations. 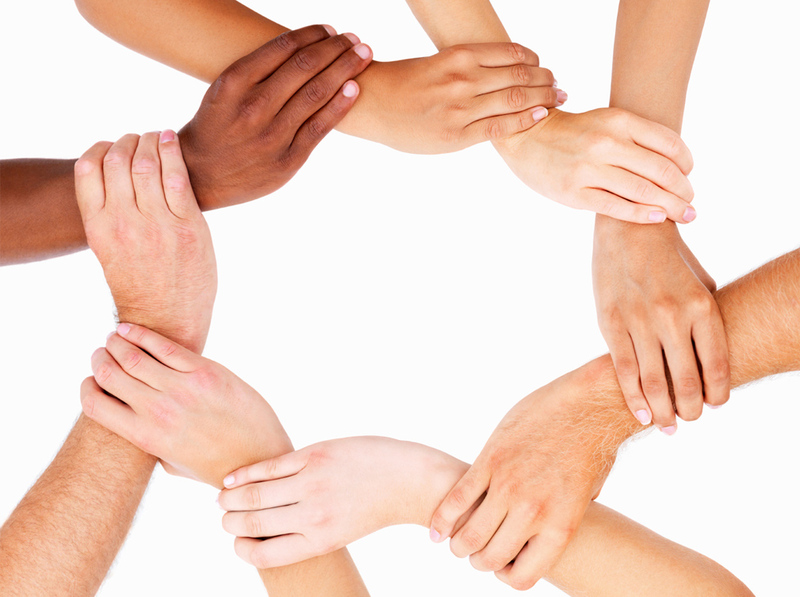 Visit our Diversity Resource Center for tools on working with diverse clients. The purpose of Psychologists in Independent Practice, a Division of the American Psychological Association, shall be to support and encourage the evolution and development of the independent practice of psychology both in its scientific and professional aspects, to promote the objectives of the American Psychological Association, and to foster collegial relationships among Psychologists in independent practice. We are honored to serve as the 2018-2019 Fellows Committee for our Division. Initial Fellows – APA members who do not hold fellow status through a sponsoring division. Deadline for completed applications is January 1, 2019. Current Fellows – APA members who have been granted Fellow status through another sponsoring division. Deadline for a letter and cv to the Division 42 Committee is April 15, 2019. The APA application website for Initial Fellows is now active at http://www.apa.org/membership/fellows/index.aspx. The webpage has all the information you need to apply for Initial Fellow status as well as helpful information for you and your three endorsers on writing and submitting letters (including a sample endorsement letter), filling out forms, and uploading through the portal. 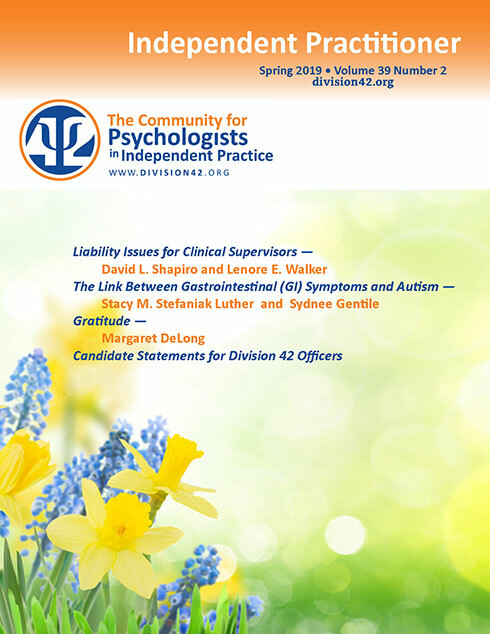 Criteria for Fellow Status in Division 42 are available at http://apa.org/membership/fellows/division-42.pdf, and a list of current Division 42 Fellows is at https://division42.org/call-for-fellow-status-nominations/current-list-of-division-42-fellows/ (endorsers must be Division 42 Fellows). If you have any questions, please feel free to contact us. We are happy to help out with any of your questions and look forward to receiving your nominations. If you have not received your new login info for this updated Division 42 site, please contact Rick at webmaster@division42.org and he will get your information sent to you right away. If you would like to change your password from the one that was assigned to you then click here and scroll down to the Password section. Practice pointers, forms and additional online resources recommended by other Div42 members are available in a growing catalog located here. Outcome measures and treatment fidelity. Billing Medicare for psychotherapy services. Subscribe to our listserv so you can catch up on these messages and read our full message archive. Do you need help with something listserv related? Email our listserv moderation team directly and one of us will get back to you. While Samuel Clemens (aka Mark Twain) didn’t say it quite that way (he actually said, “The report of my death is an exaggeration.”) the gist of this phrase is pertinent to private practice. For decades, naysayers have predicted the decline of private practice of psychology, but according to APA’s Center for Workforce Studies, almost half of US psychologists (45%) are in private practice (American Psychological Association, 2017). Studies by Rupert and Morgan (2005), Walfish and Walraven (2005), Walfish and O’Donnell (2008), and other researchers show that clinicians in private practice enjoy their work and find it personally rewarding in terms of autonomy, intellectual stimulation, positive mental and physical health, and that they report experiencing less burnout than their colleagues in other work settings, to name a few advantages. At the same time, the above researchers found that private practitioners reported high rates of dissatisfaction with their income and in dealing with managed care. This finding is consistent with what I read on listservs, and with what I hear at conferences and workshops. With little in the way of business training, psychologists often enter private practice without much of a vision or plan. As long as the bills and living expenses are paid, private practitioners can survive. But you can do better than survive. You can thrive. Thriving means working with people you most enjoy, in activities that you find most fulfilling, and getting paid enough to support your lifestyle and to fund your retirement. What are your two favorite professional activities? In what situations or activities do you lose track of time? In addition, check out the free VIA Character Survey at VIAcharacter.org, to learn about your strengths, which can inform your choice of work settings and activities that are likely to be fulfilling. Define the types of people you like working with. You may be qualified to work with many types of people, but that doesn’t mean you have to take any and all referrals. In private practice, you can focus on working with those you enjoy most. That way, you will more often feel energized than drained. Who are your ideal clients/patients? Think in terms of the types of people (i.e., demographics) and the types of problems or issues that you prefer to work with. These groups are your “target audiences.” Ideally, they will be people who need, want, and are able to pay for your services. Next, make yourself visible to your target audiences and to referral sources who have access to them, such as physicians, attorneys and other professionals. 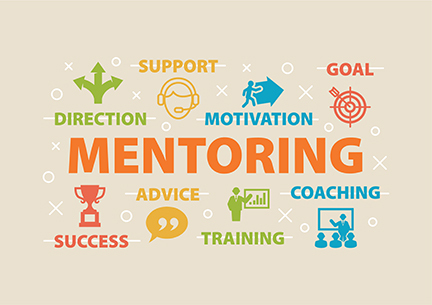 Develop a marketing plan that includes community involvement and public education (writing and speaking about common psychological issues relevant to those you want to reach). That way, when someone needs mental health services, your name is likely to come to mind. Private practice is a business, and the goal of a business is to make a profit. But many clinicians have difficulty resolving their altruistic mindset with being well paid. Several studies, including Trachtman (1999) and Britt et al. (2005) have addressed mental health professionals’ attitudes toward money. Many clinicians believe that it’s fine to earn “enough” money, but to earn a lot is deemed greedy and exploitive. Some clinicians would further argue that we should only charge what people can afford. But “afford” is a subjective term. Most middle-class people will find a way to pay for what they want and value, such as restaurant meals, sporting events, vacations, electronics, furniture, birthday parties, Christmas gifts, alcohol, manicures, tattoos, and more. When someone says “I can’t afford your fee,” it could mean that they are unable to pay. On the other hand, it could also mean that other things are more important, or that they don’t understand how your services will help them. In other words, they don’t value psychological treatment enough to make it a priority. Lowering your fees won’t necessarily change their minds. In fact, it can it unintentionally reduce the perceived value of your services. Furthermore, with lower fees, your clinical effectiveness might suffer. If you need to work more hours to make ends meet, you put yourself at risk for fatigue and burnout, not to mention possible negative countertransference toward clients who seem financially better off than you. The average course of therapy generally costs under $2000 out of pocket. That’s not a trivial amount, but it is within reach of people who will spend similar amounts on discretionary purchases–especially if they charge their sessions to a credit card and pay it off gradually. Other people may take out a loan or cut down on non-essential spending. For the truly indigent you can maintain a couple of free “scholarship” slots. If you are in an area with a lot of mental health professionals, your practice will grow more quickly when people have a reason to choose you over your competitors. One way to stand out is to have a niche (a specific target audience such as young children, female executives, athletes, LGBTQ) or a specialty in treating specific types of problems. As you develop your reputation as a specialist, many people will pay higher fees to see you for treatment. Another way to stand out is to offer conveniences or great customer service. For example, having Sunday office hours may appeal to individuals or families with busy mid-week schedules. Convenient location, free babysitting, and free parking help streamline the hassle of getting to one’s appointment. Do you speak a foreign language? Take credit cards? These are appreciated by certain groups of people. And don’t overlook the importance of a clean, comfortable and nice-smelling office. Successful entrepreneurs notice opportunities that other people miss. They operationalize these opportunities into a business plan. They tolerate uncertainty and take action, knowing that there is some risk, but are prepared to deal with the downside. For more information on entrepreneurship see the work of Barringer and Ireland (2015) and Read et al. (2016). Barringer, B. & Ireland, D. (2015). Entrepreneurship: Successfully launching new ventures (5th ed.). Boston, MA: Pearson. Read, S., Sarasvathy, S., Dew, N., & Wiltbank, R. (2017). Effectual entrepreneurship (2nd ed.). New York: Routledge. Rupert, P. A., & Morgan, D. J. (2005). Work setting and burnout among professional psychologists. Professional Psychology: Research and Practice, 36(5), 544-550. Walfish, S. (2015, Winter). Growing and sustaining a private practice: Opportunities are where you find them and where you make them. Independent Practitioner: Bulletin of Psychologists of Independent Private Practice, 35(1), 24-28. Walfish, S., & O’Donnell, P. (2008, Summer). Satisfaction and stresses in private practice. Independent Practitioner: Bulletin of Psychologists of Independent Private Practice, 28(3), 142. Walfish, S., & Walraven, S. E. (2005). Career satisfaction of psychologists in independent practice. Counseling and Clinical Psychology Journal, 2(3), 124-133.
p.s. Division 42 welcomes new members. Please encourage your colleagues to join at division42.org/membership.